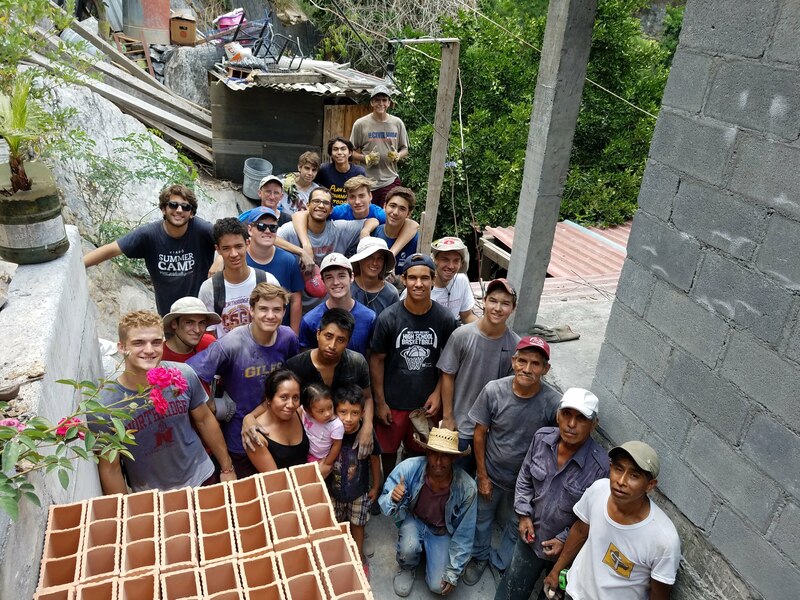 The Mexico Service Project offers high school men the opportunity to live solidarity by serving the poor and less fortunate. Through a construction project that is both demanding and rewarding as well as teaching daily English classes, volunteers will discover the great joy of sacrificing themselves for others. They will also benefit from the unique opportunity to interact with the local Mexican people, learning about their culture and way of life. Participants also have the opportunity to take advantage of spiritual activities such as confession, daily Mass, and regular times for prayer. Participants will spend two weeks in Monterrey, Nuevo León located in northeastern Mexico. The days will be spent constructing and improving homes for local families as well as running a day camp for kids in the neighborhood. During the camp, volunteers spend some time each day leading sports, teaching classes, and organizing other activities for the kids. On weekends, participants will have a chance to go on cultural trips and hiking expeditions. The final weekend of the project will include a trip to Mexico City. All participants will stay at El Molino, a conference center in Monterrey. While in Mexico City, participants will stay at Torres Study Center. The cost of the trip, $995, which covers all expenses of our stay in Mexico. This fee, however, does not cover the cost of the plane ticket. Trip staff will coordinate air travel arrangements once acceptances are announced. Full payment is due by June 1, 2019. The trip fee does not cover the cost of the materials for the work projects. Each participant is asked to organize a fundraising campaign to help cover the costs of the work projects. Program staff work with participants to help with fundraising efforts. Applications received before March 15, 2019 will be given priority. Acceptances will be announced by March 25, 2019. Full payment is due by June 1, 2019. The Mexico Service Project is sponsored by Youth Service International (ysi.org) and directed by Sauganash staff. YSI organizes and directs activities for college and high school students from around the country.